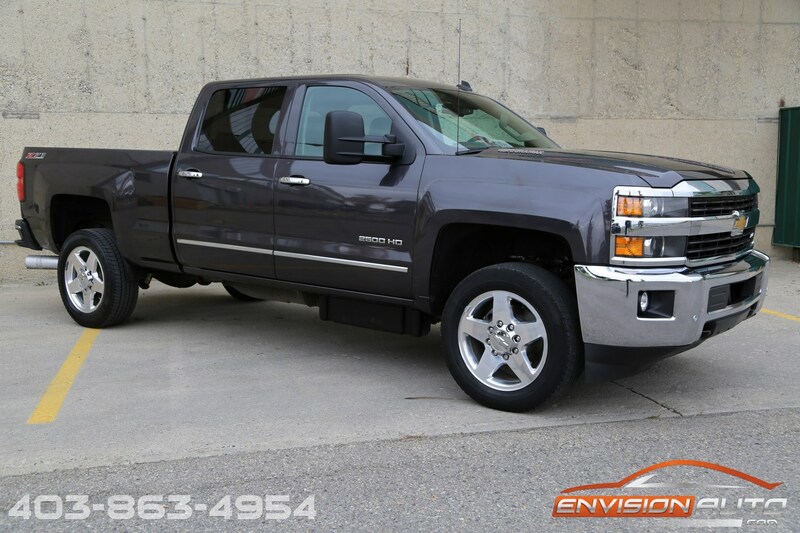 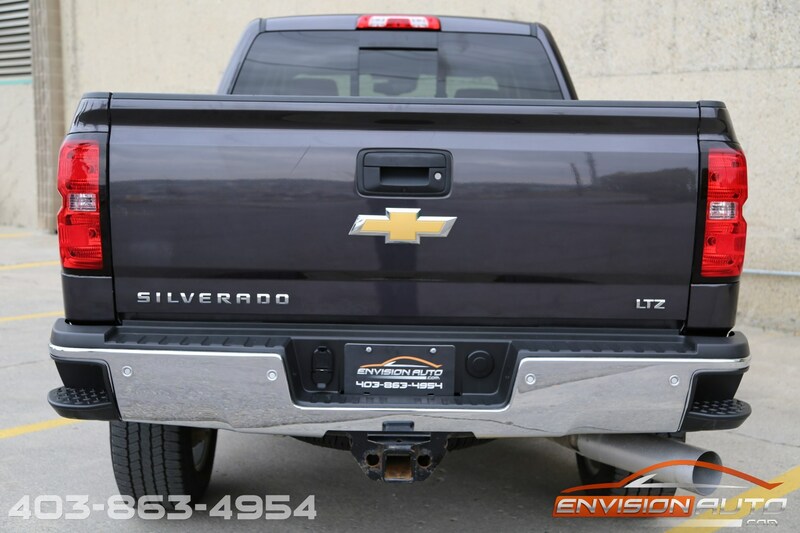 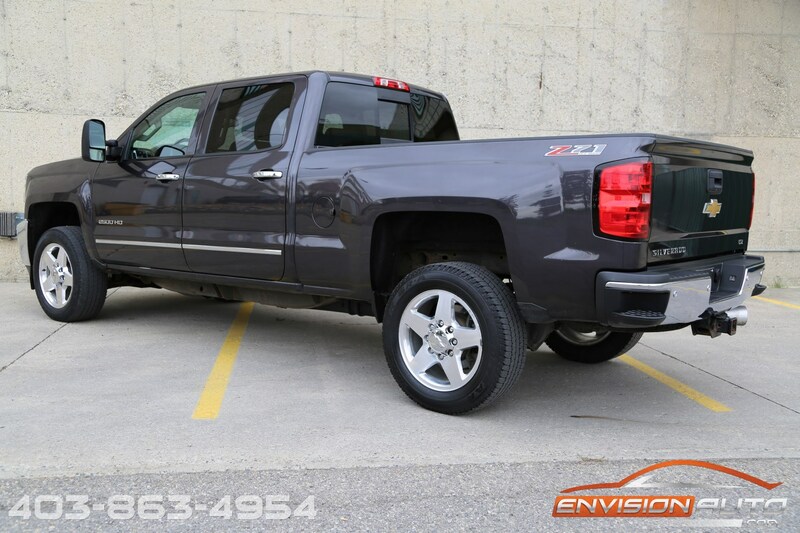 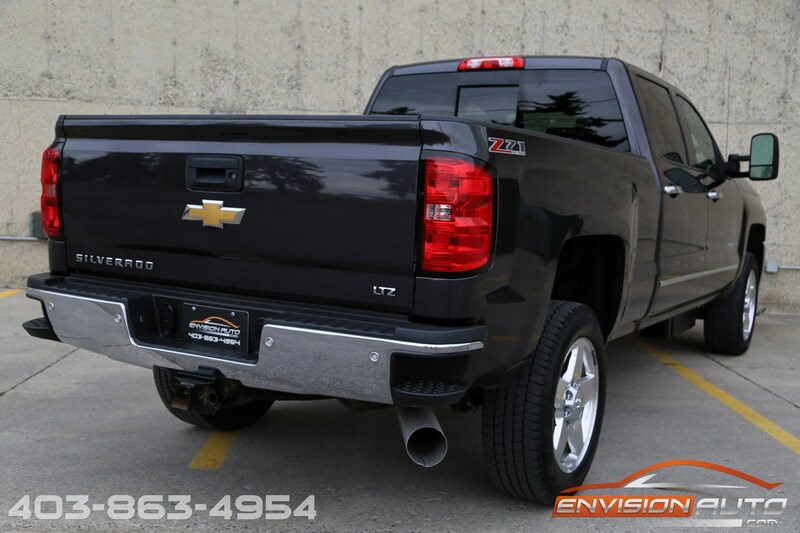 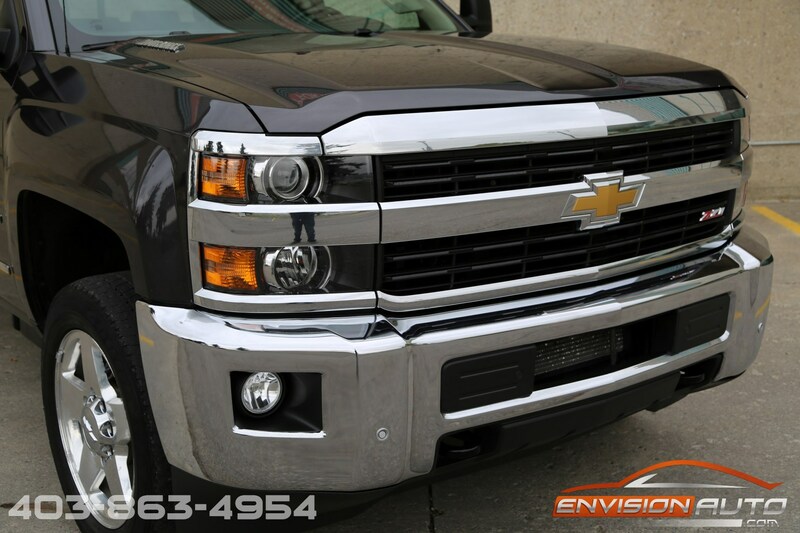 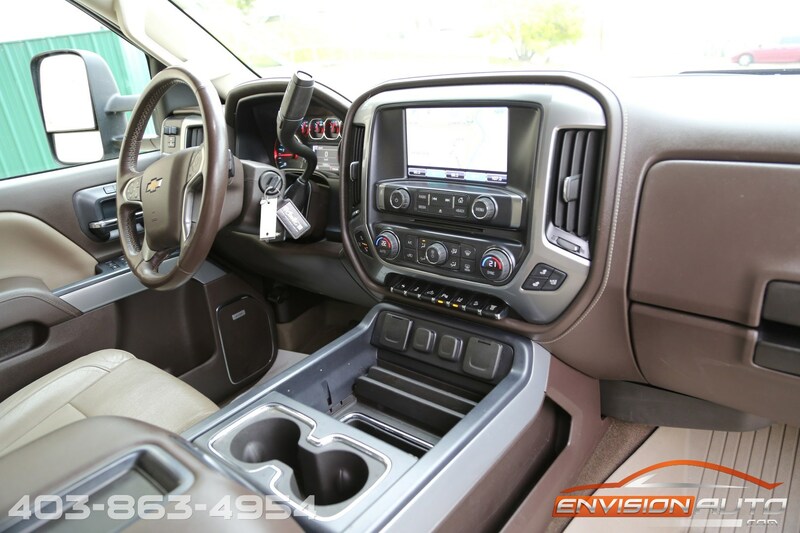 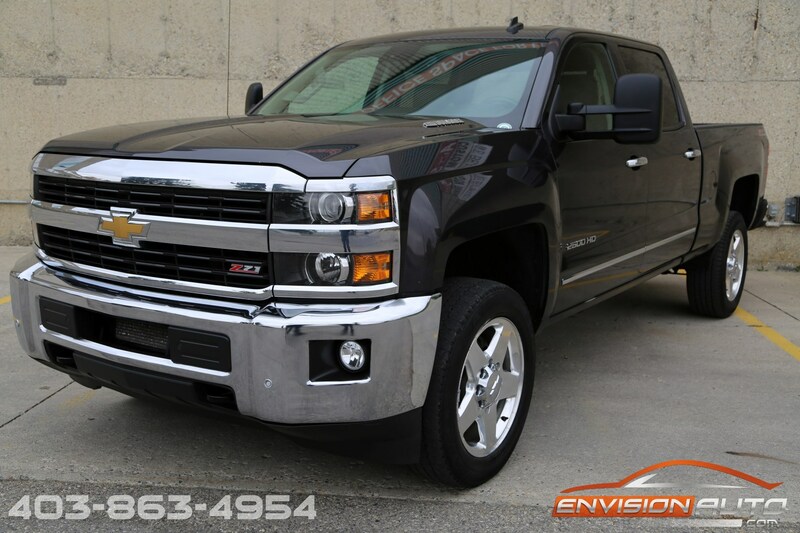 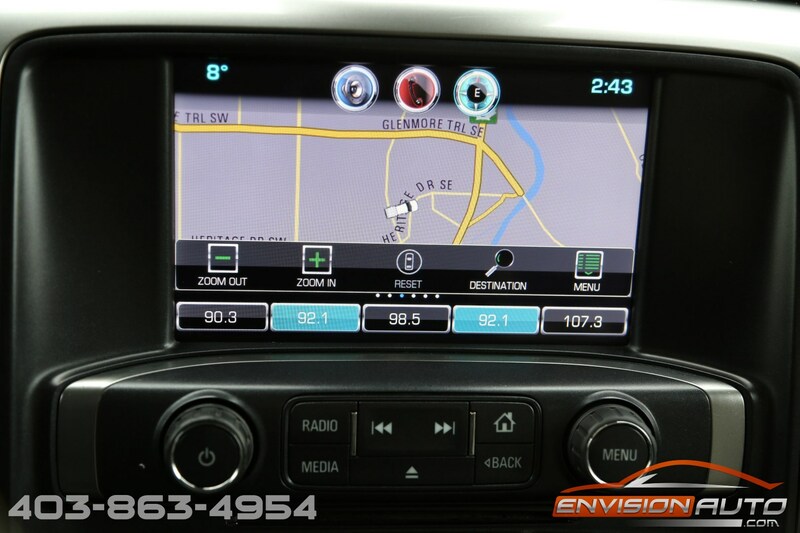 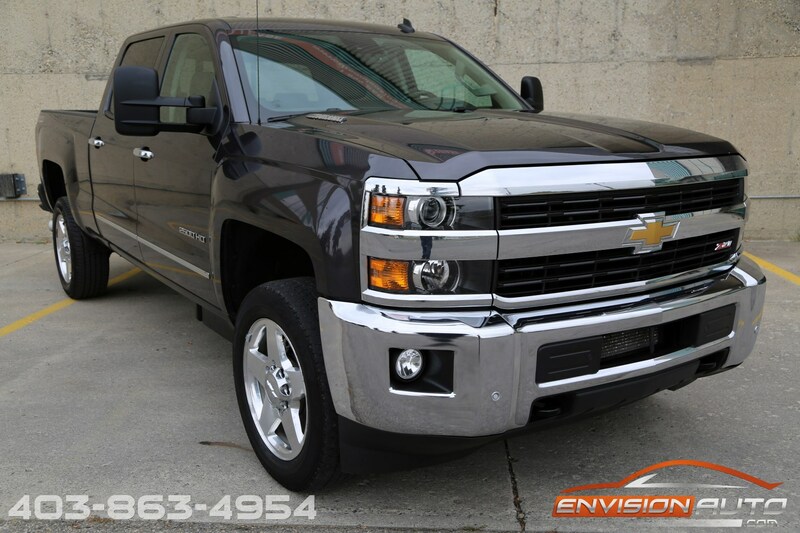 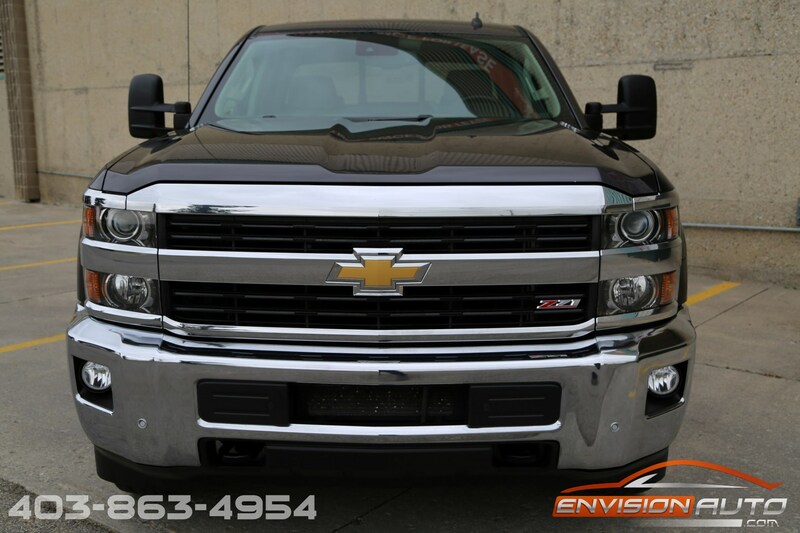 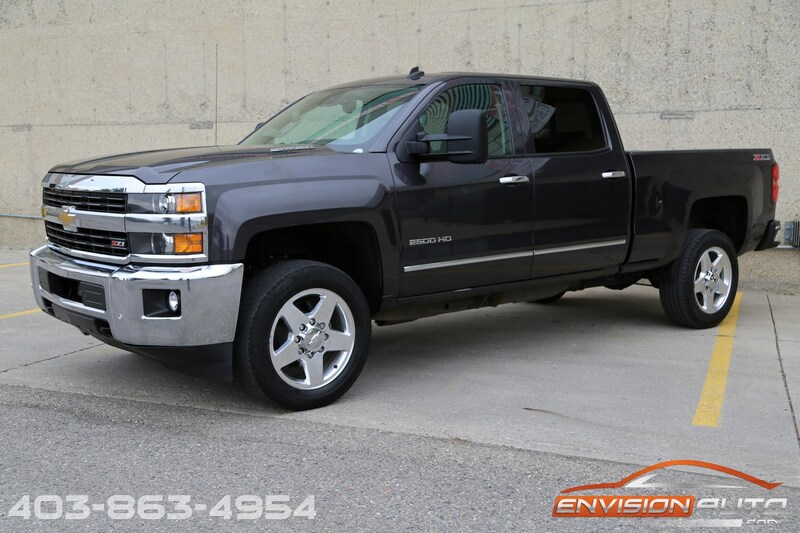 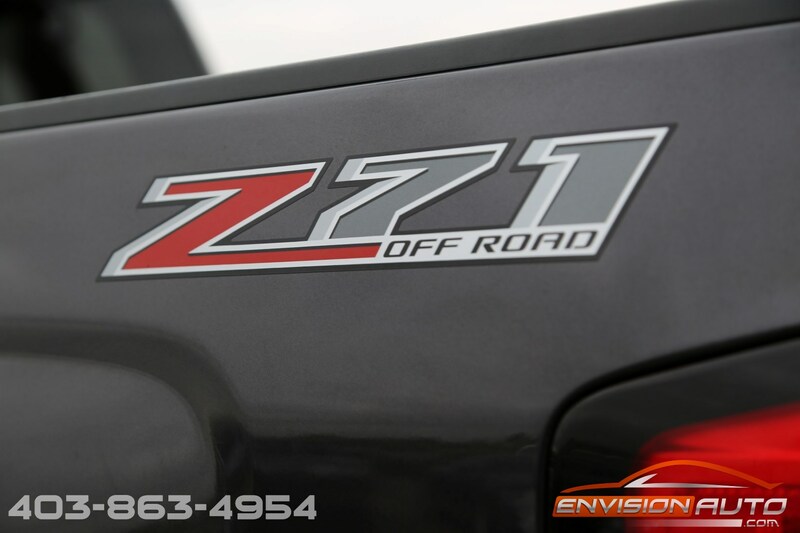 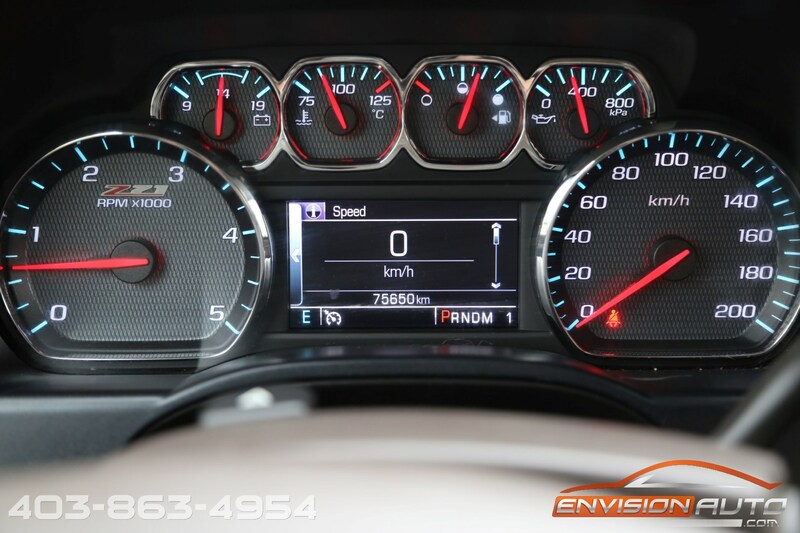 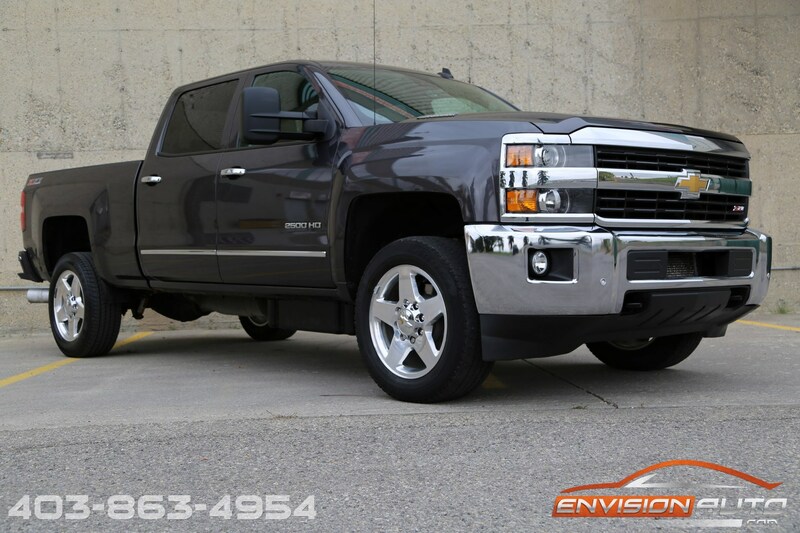 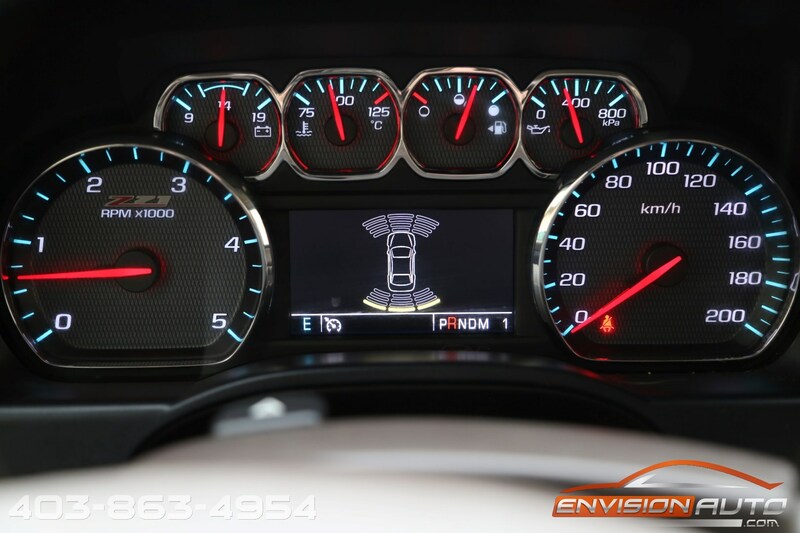 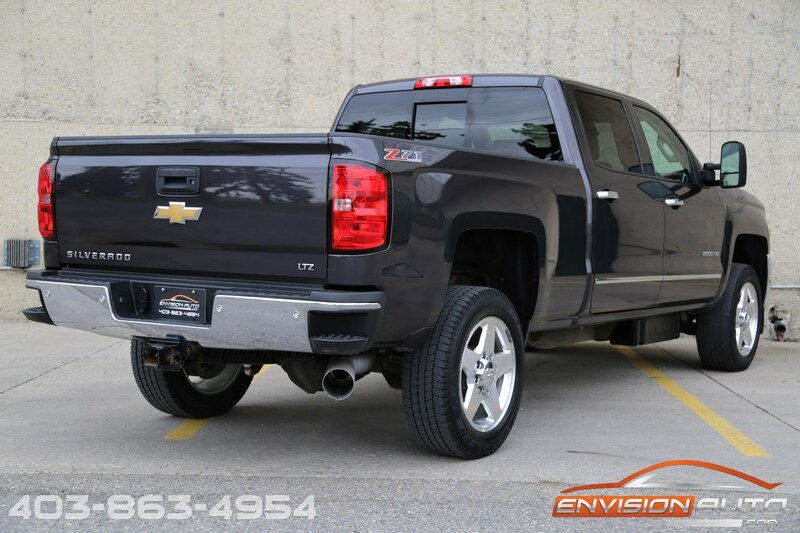 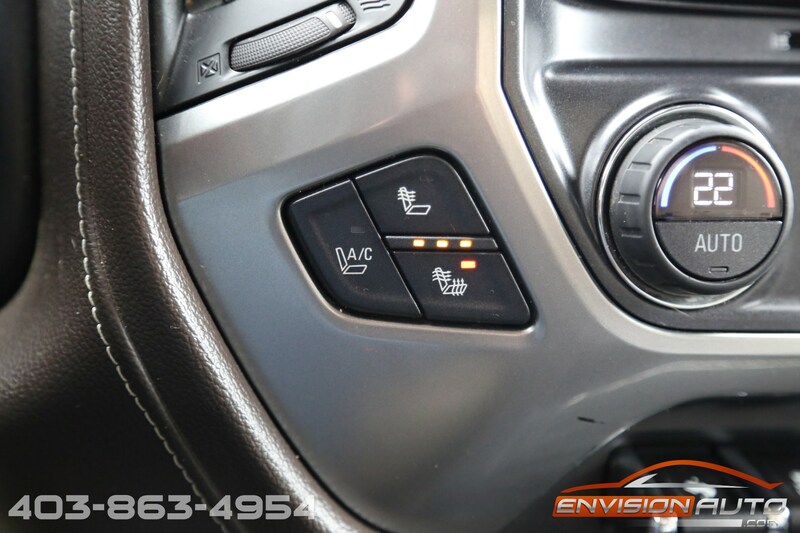 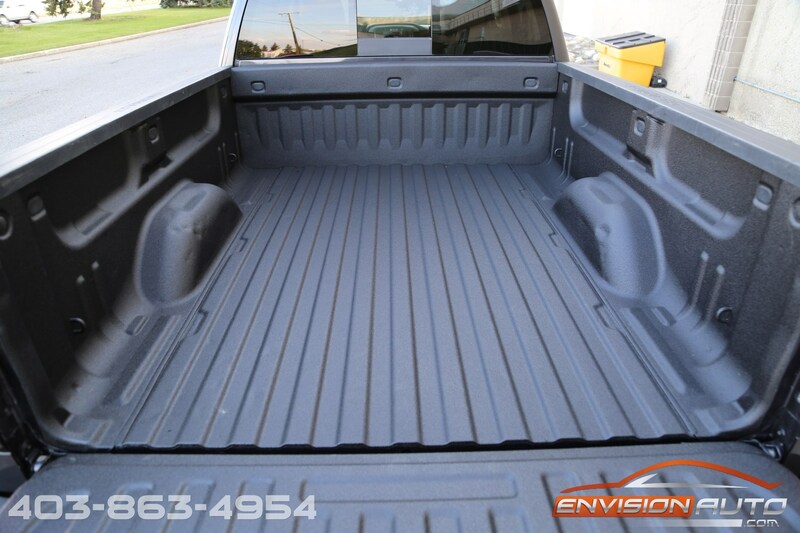 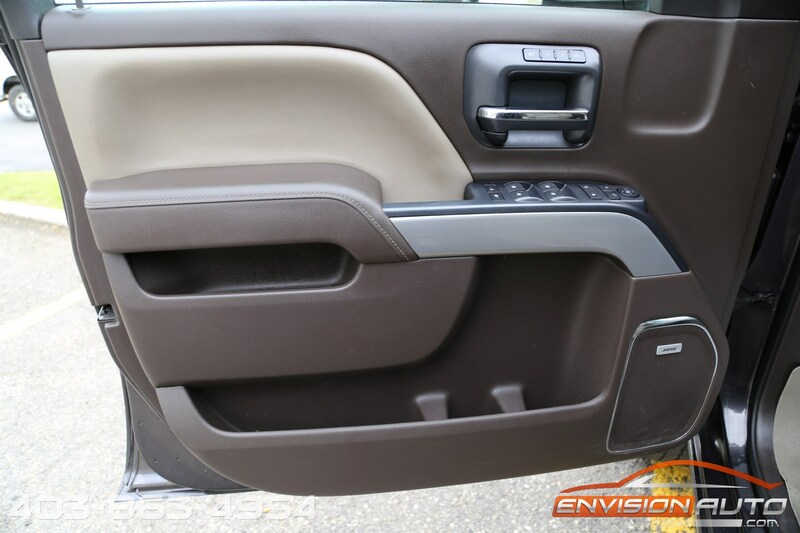 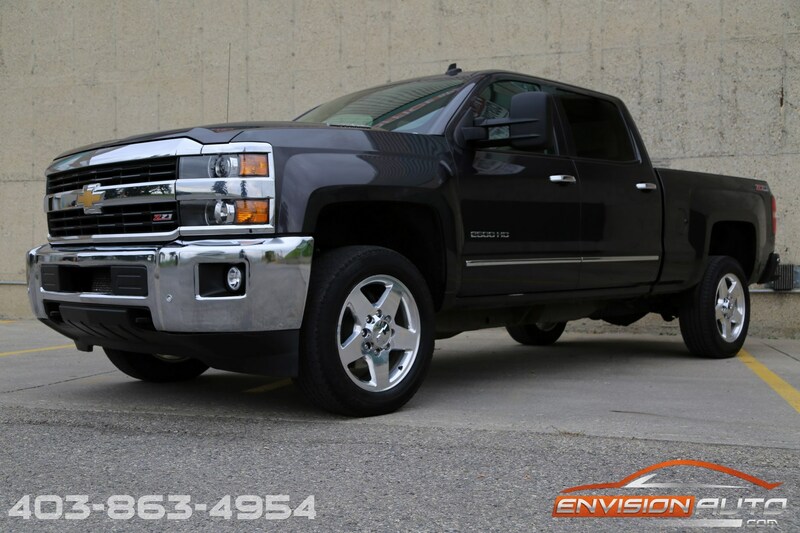 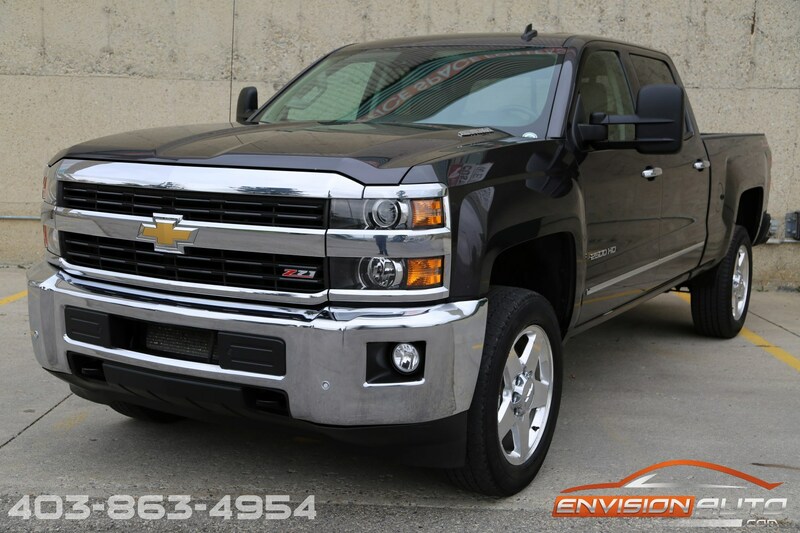 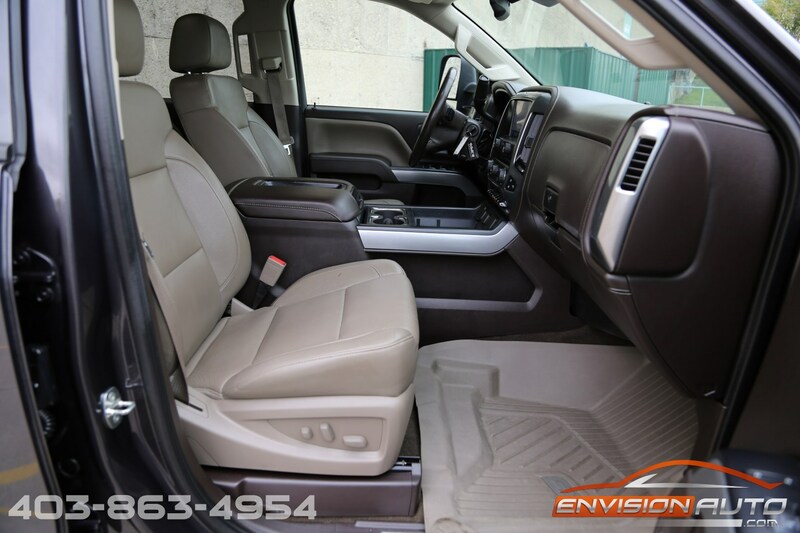 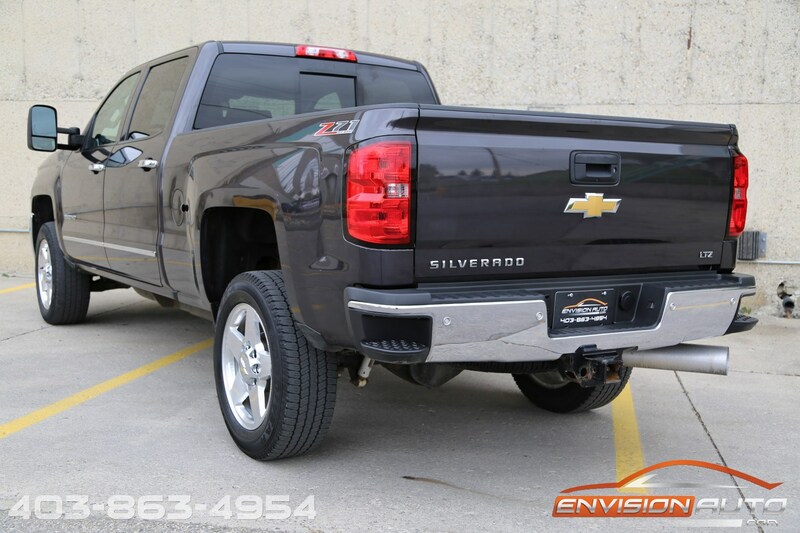 2015 Chevrolet Silverado 2500HD Crew Cab 4×4 \ LTZ PLUS \ Z71 PKG \ ONE OWNER! 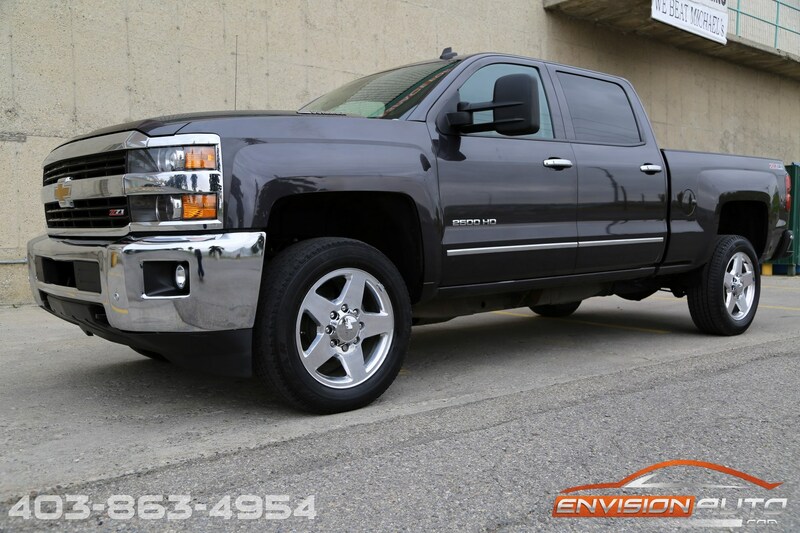 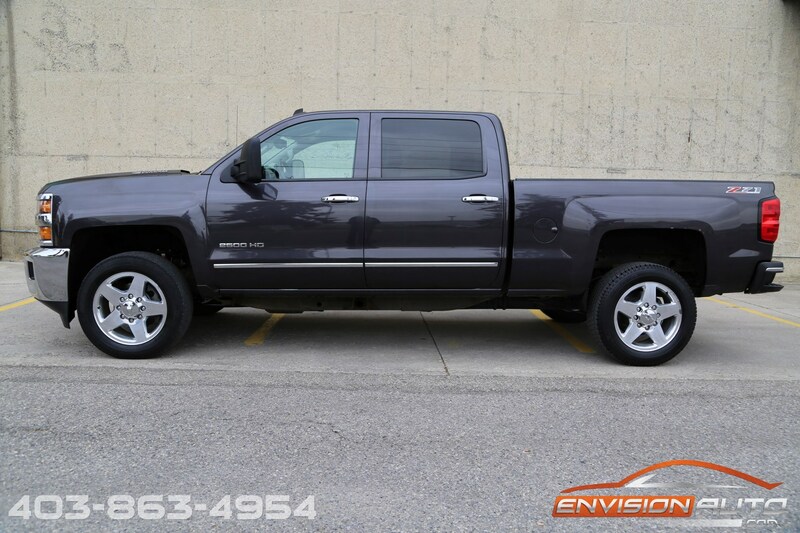 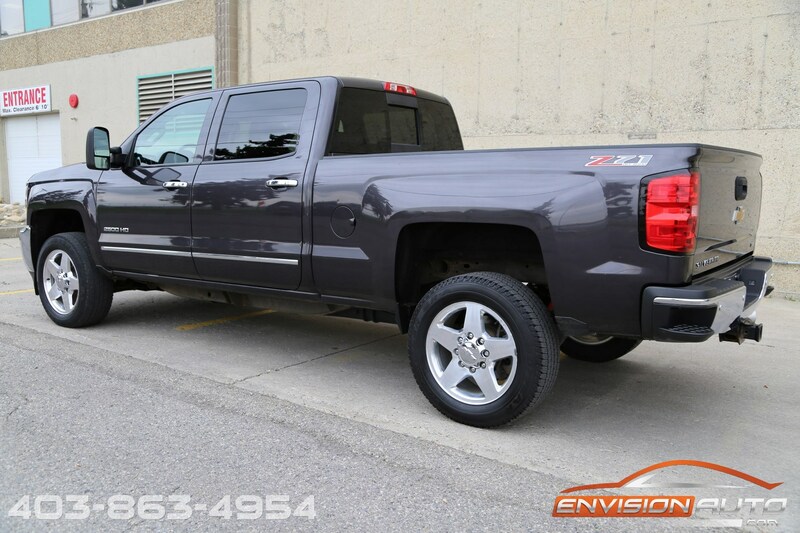 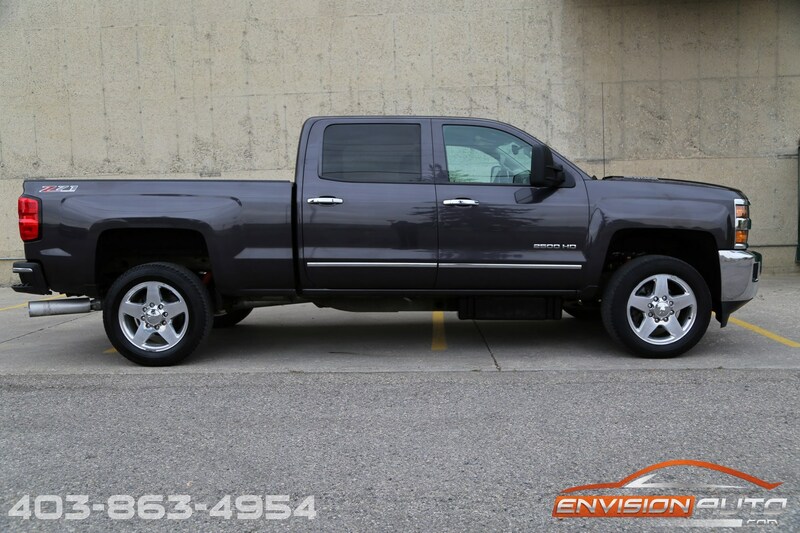 ONE LOCAL CALGARY OWNER \ 2500HD CREW 4×4 \ 6.6L V8 DURAMAX DIESEL \ 6 SPEED ALLISON TRANSMISSION \ LTZ PLUS PACKAGE \ Z71 OFFROAD PACKAGE \ DRIVER ASSIST PACKAGE \ HEATED AND COOLED SEATS \ HEATED STEERING WHEEL \ FRONT AND REAR PARK ASSIST \ TOW MIRRORS \ ORIGINAL MSRP $77,800 \ LINEX SPRAY IN BED LINER \ SPOTLESS CARPROOF HISTORY REPORT \ ONLY 75,600 KILOMETERS!! 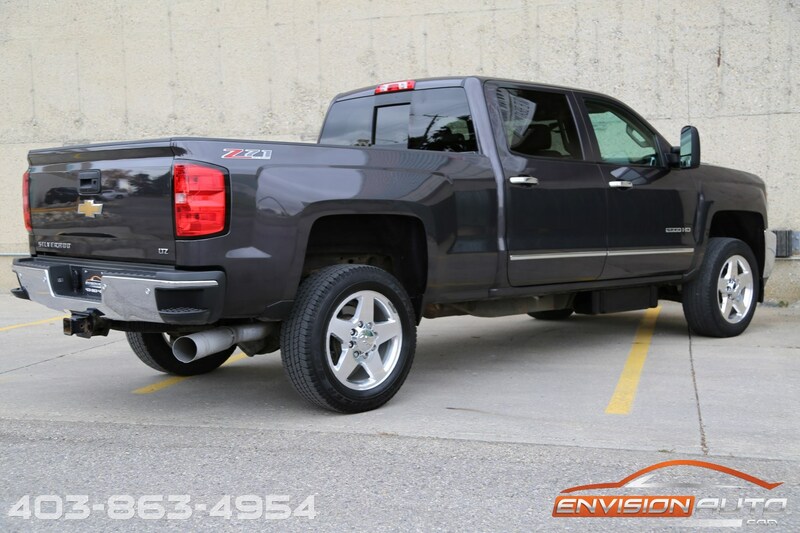 Rare find on this single, locally owned duramax 2500HD – only 75,650 kilometers and a spotless carproof history report. 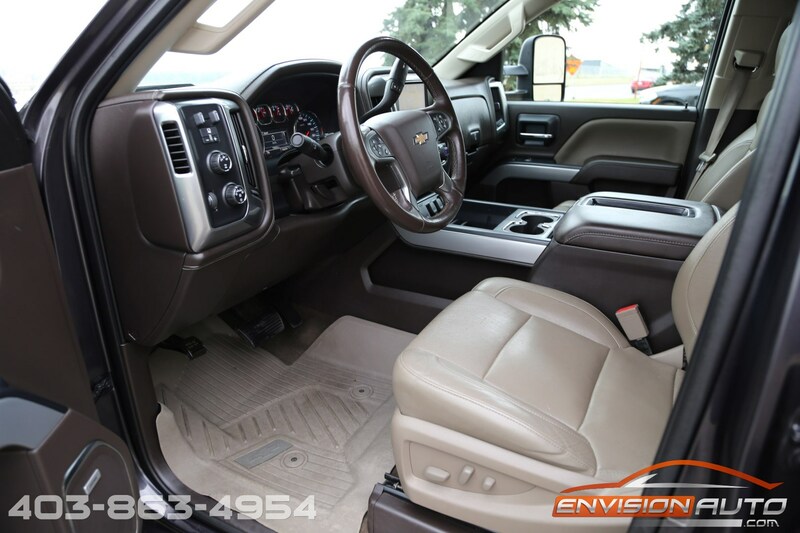 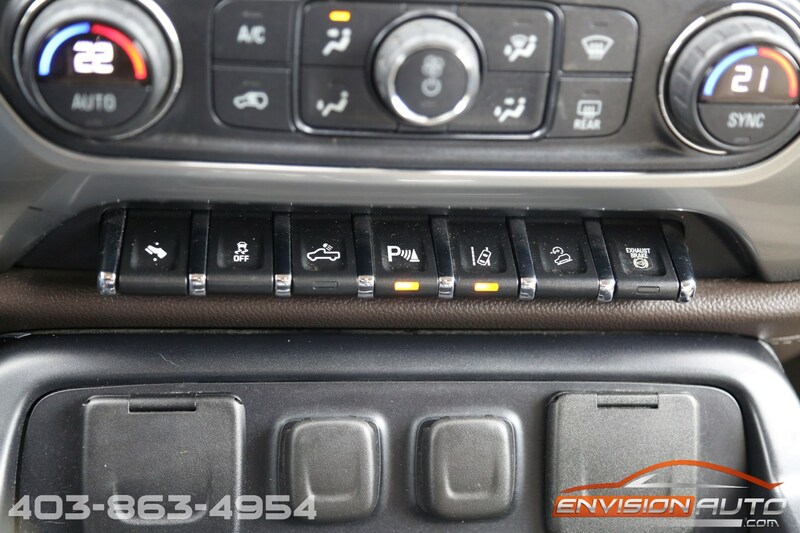 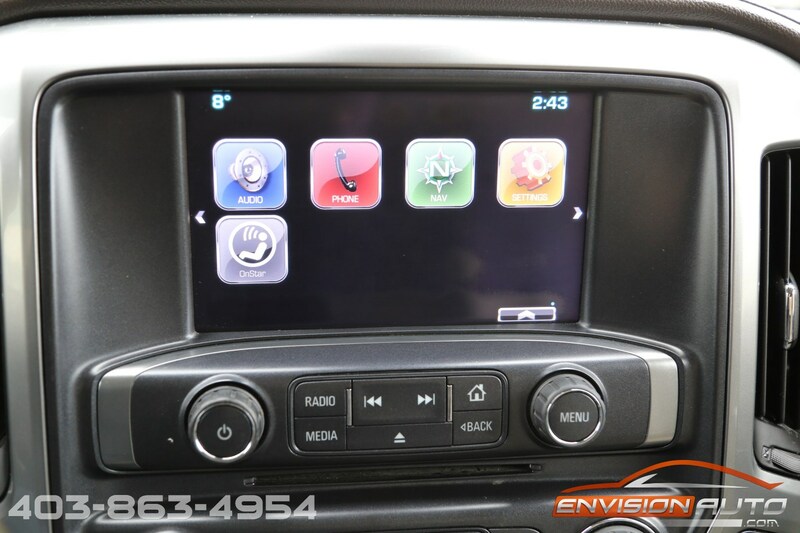 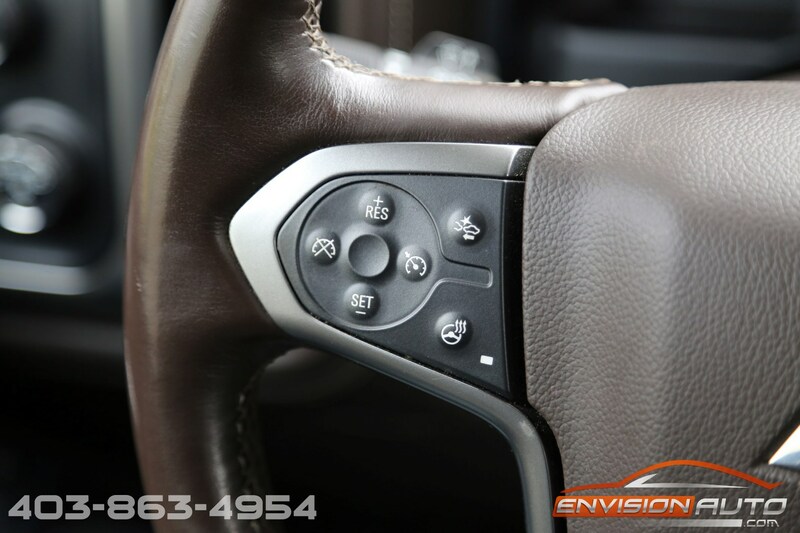 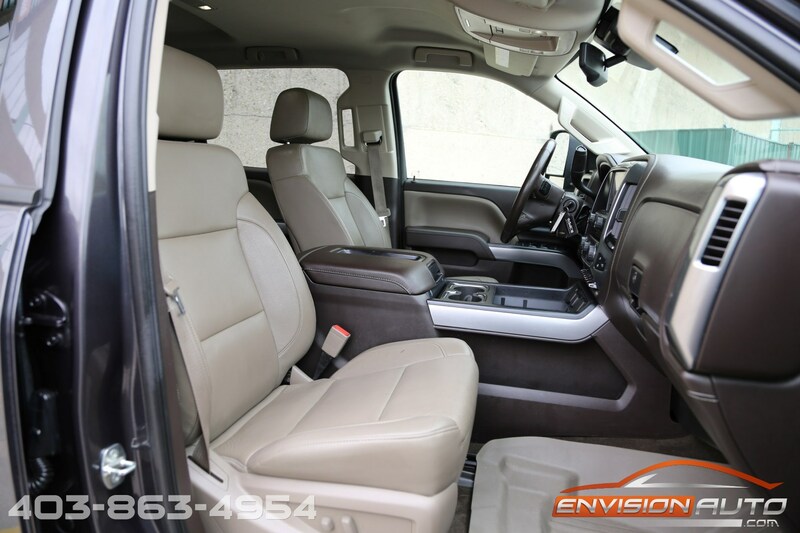 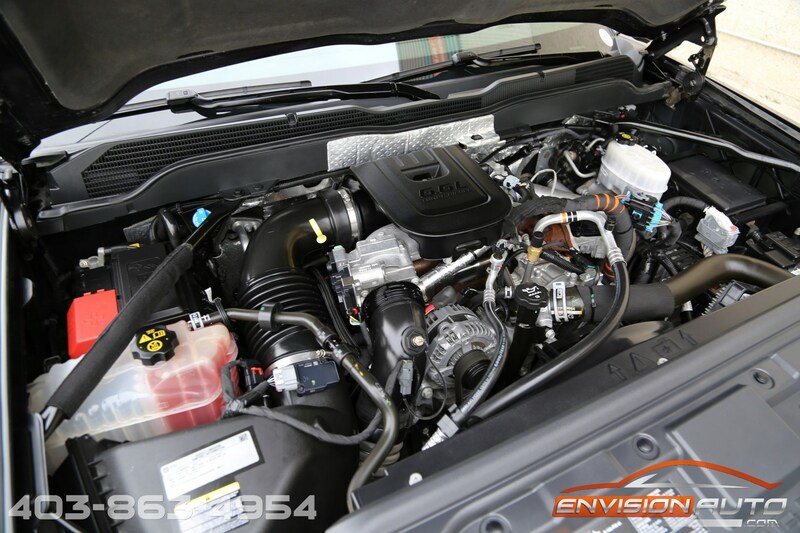 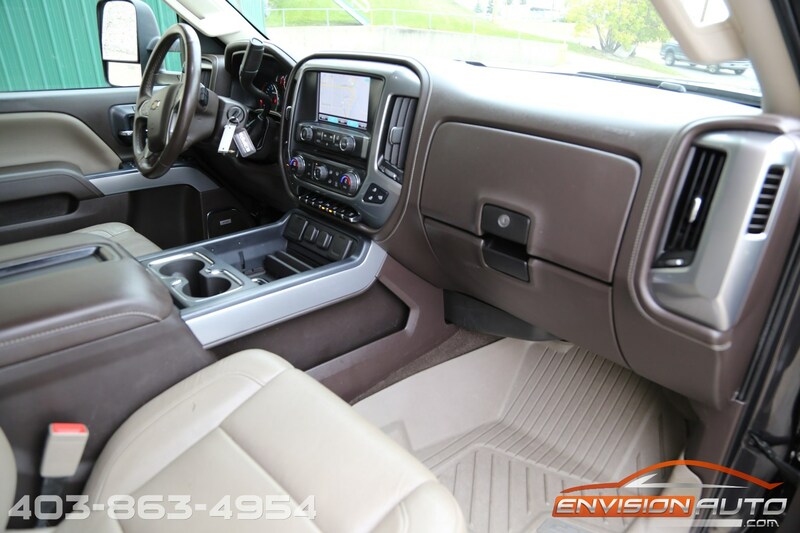 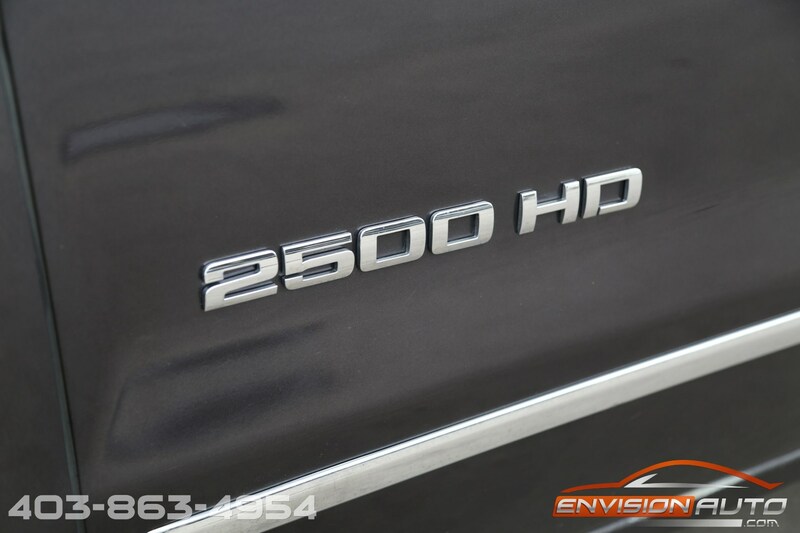 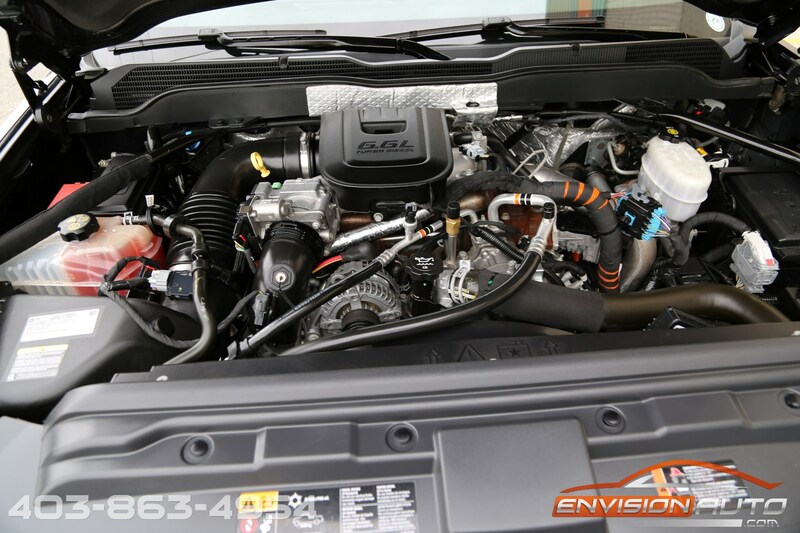 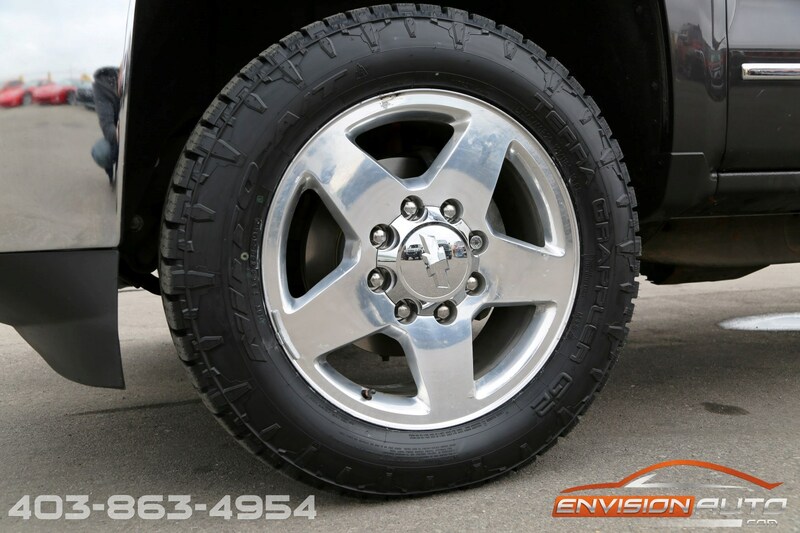 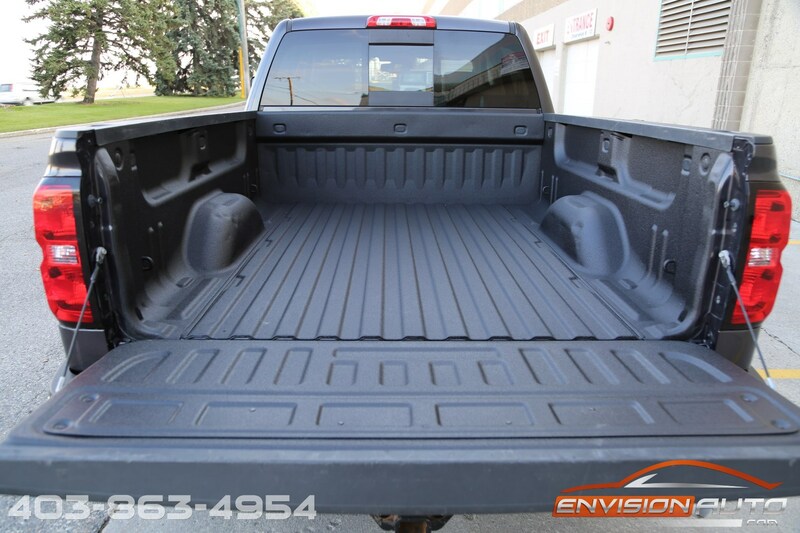 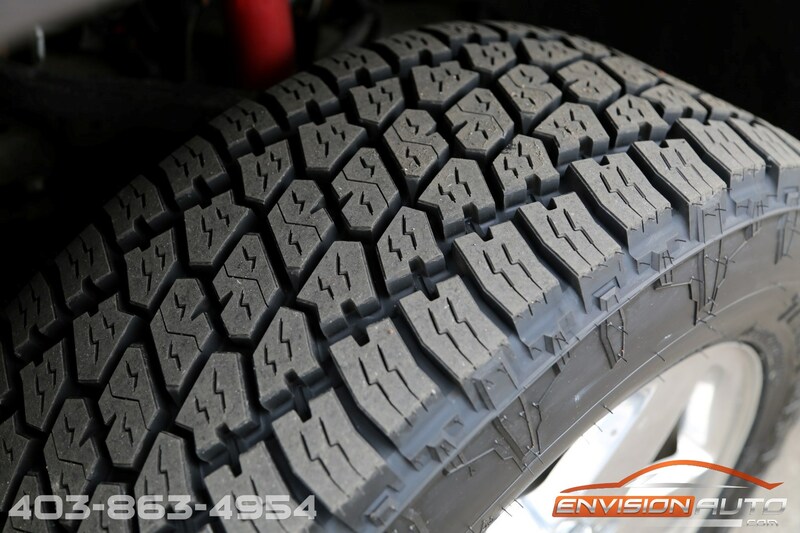 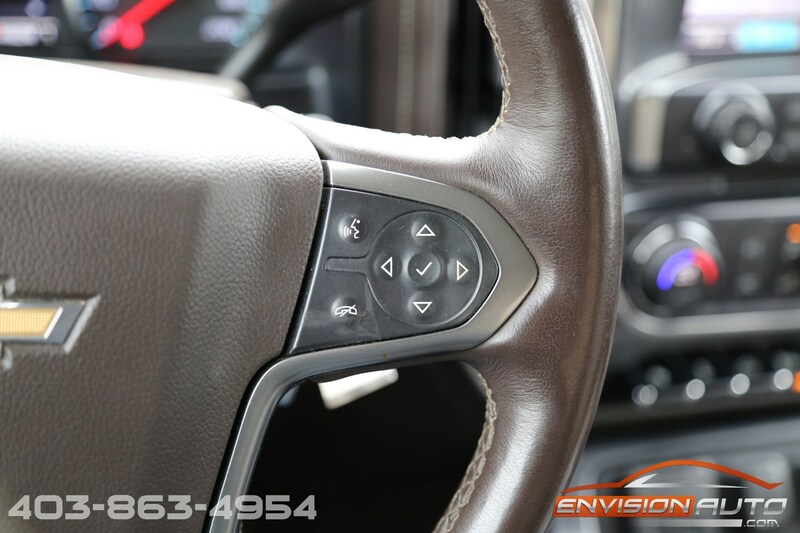 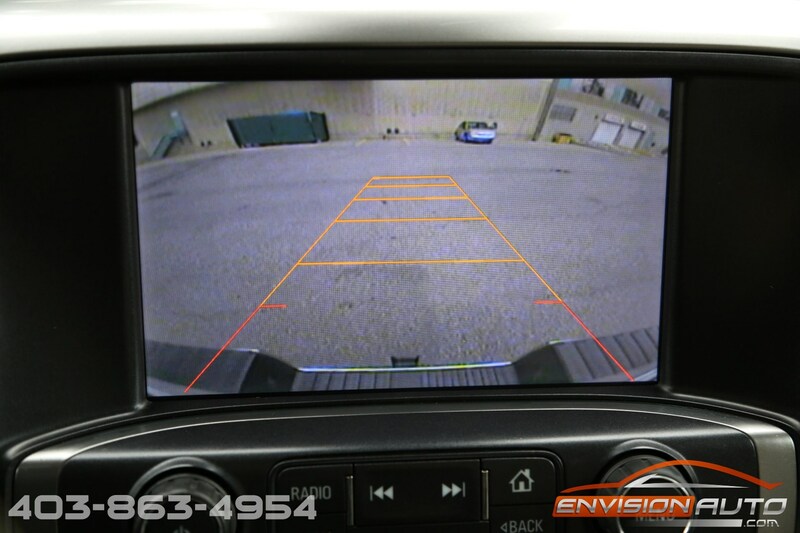 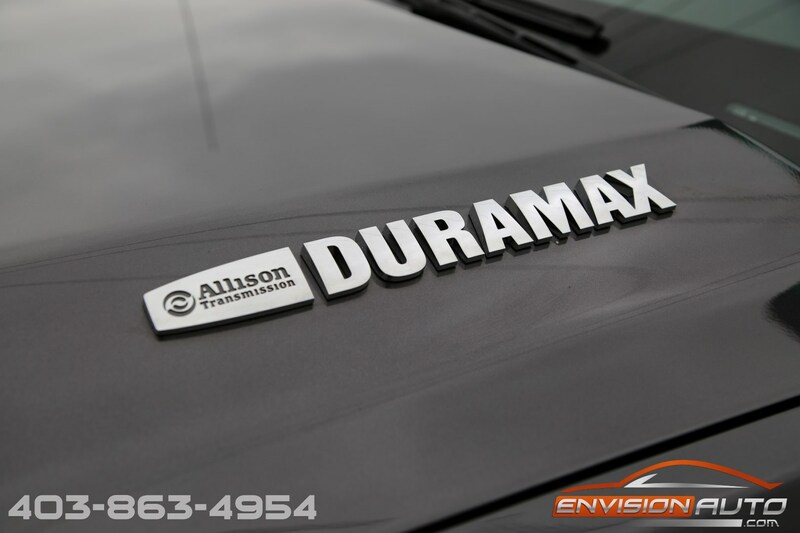 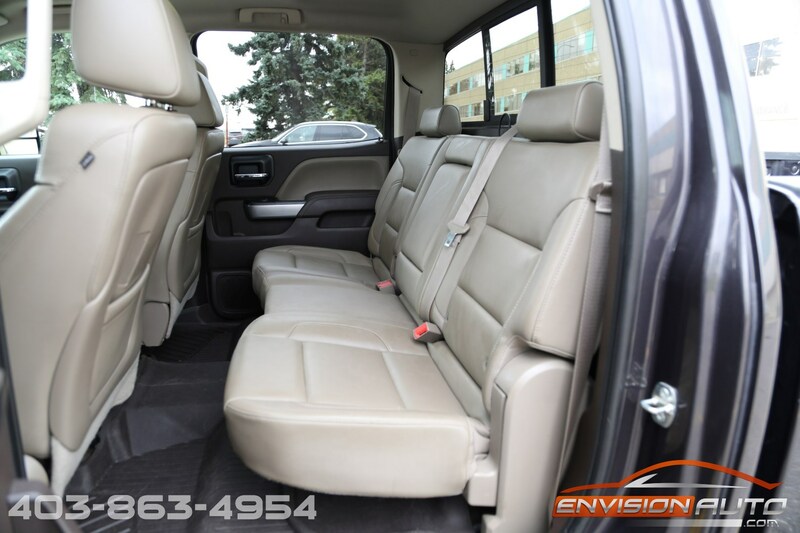 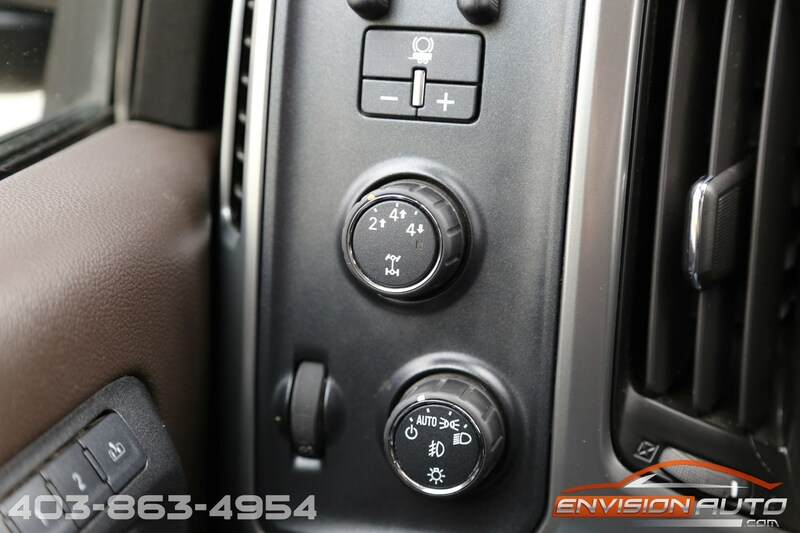 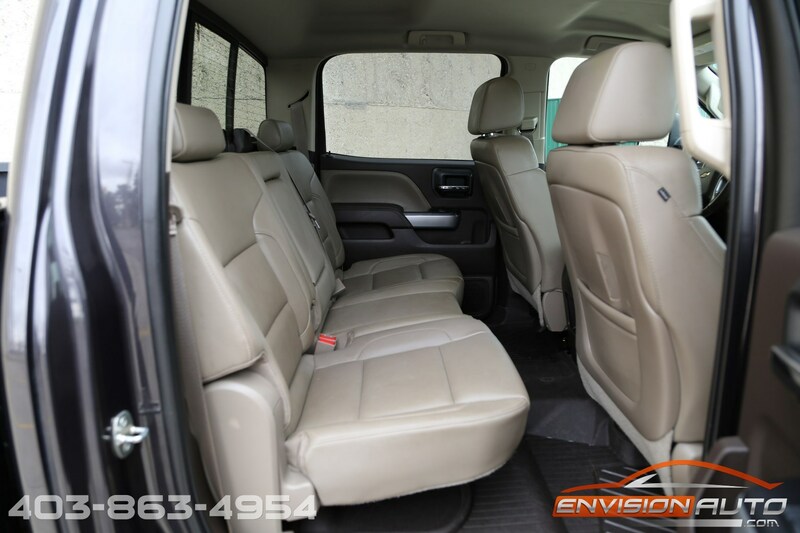 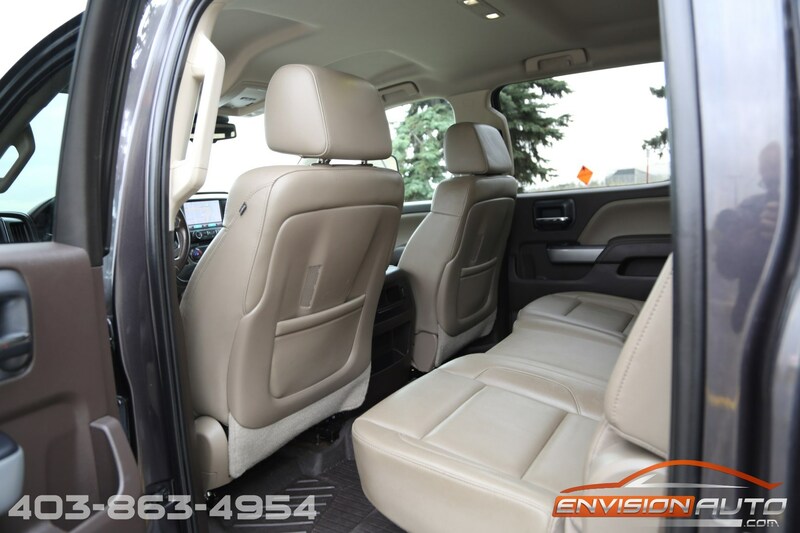 Loaded with options, this truck original MSRP was just under $78,000. 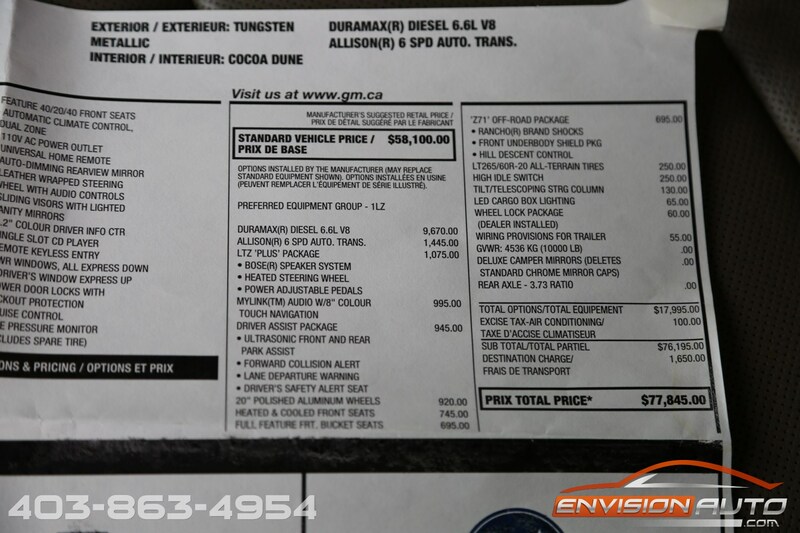 Absolutely no previous modifications or alterations, everything on this truck is as it was when sold new. 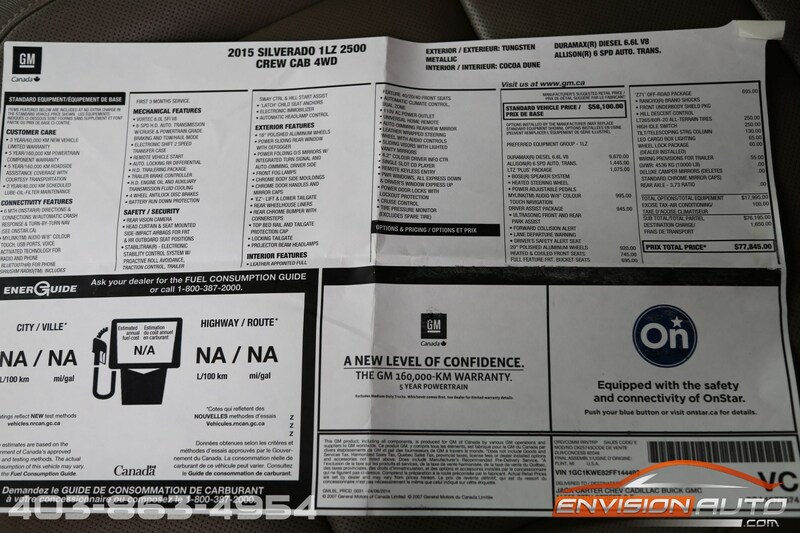 Powertrain warranty good until June 2019 or 160,000 KM’S. 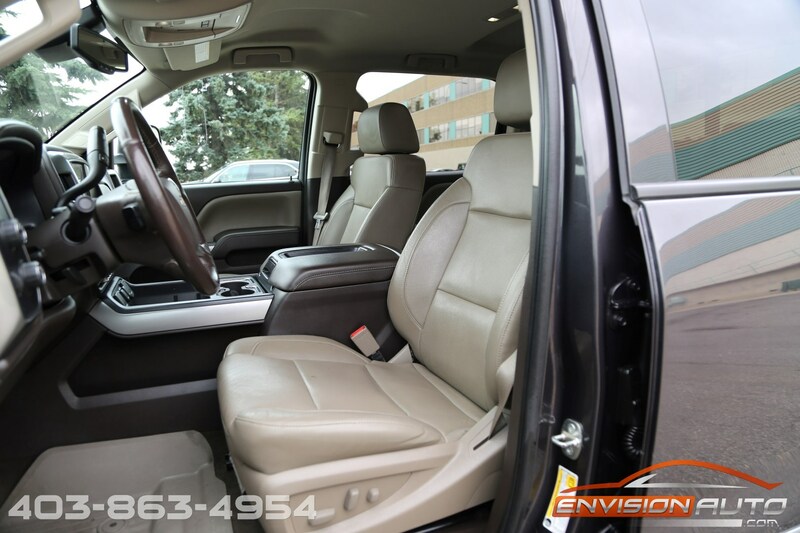 100% CarProof Verified Accident and Claim Free Car – no negative history – no stories! 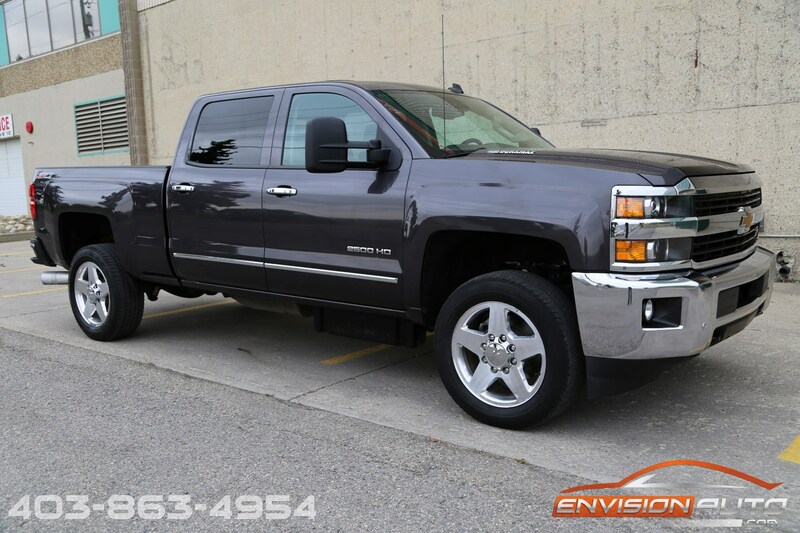 Available today for immediate possession – no waiting.